Our fully furnished gulf view condo is located across the street from the beach. The condo is located on the third story with parking on the first level. Enjoy a beautiful sunset from the 27' balcony or from the beautifully decorated living room which has 17' sliding glass doors. Relax and enjoy the sunsets, gulf breezes, and the beautiful white sandy beach. You will simply love this place. New laminate flooring just installed. Just added a 37in hd tv. Amenities: New ceramic tile, upgraded kitchen and bath,new laminate flooring just installed , new living room furniture. 1 queen bed and 2 twin beds that can be made into 1 king bed. We also have sheets for each size. Plenty of novels to read while relaxing in this very comfortable condo. 2 color TVs one that is HD, full cable and VCR, CD player,DVD player, stereo, microwave, icemaker, and all new appliances, washer and dryer in condo, coffee maker, linens, pots and pans, dishes, glassware and silverware. Ceiling fans in every room. Plenty of beach chairs, beach towels, cuzzies, umbrella, and small ice chest for the beach. Local phone service.Central air conditioning and heating.Activities: Great golf courses near by , Sun Coast Trolley stop is in front of the condo, walking the beach, great restaurants, dolphin watch cruises, Busch Gardens, 90 min to Orlando Theme parks, Suncoast Seabird Sanctuary, Sand Key Park, John's Pass, and Pass a Grille. There is a pool about 10 min away in Clearwater for the people that want a pool, there is a $6 charge. Great, relaxing stay in this unit! Very clean and well equipped with all that you need for a beach vacation. Two minute walk to a very quiet beach covered with beautiful sand and seashells! Would definitely come back! Just the perfect place at the Indian Rocks Beach. Our family (my husband, two kids and me) stayed for a long weekend in the cozy condo. We had a realy holliday feeling because of the condo with everything you need and the nice view at the sea!! The place is perfect for 4 persons. Everything is very clean and we loved to have breakfast at the big balcony with the view at sea. The neighborhood is quite and its just a few steps to the nice white sandy beach. 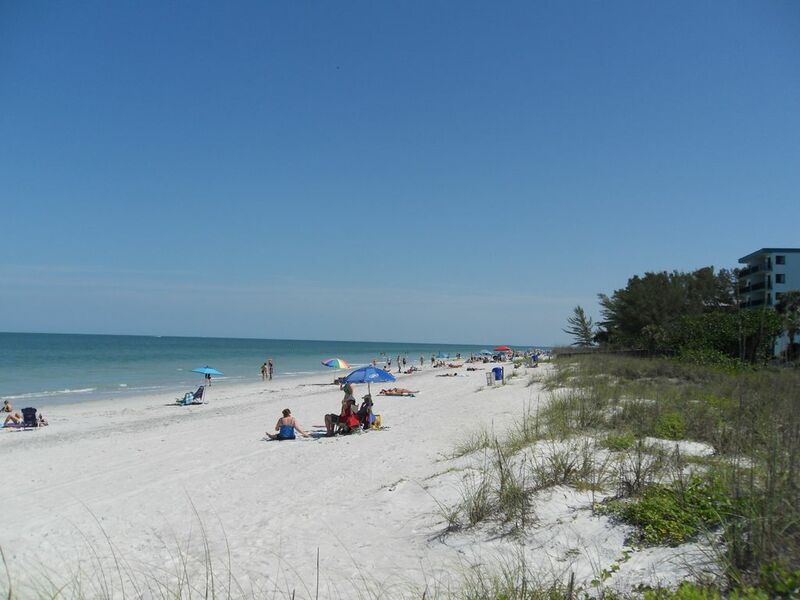 There is al lot to do and to see at this part of the westcoast of Florida. We loved the quit Passe a grill Beach in the south. We did a lot of shelling overthere. We love to come back one time! So glad you enjoyed our condo. We try to keep it clean and updated so our guests will enjoy there time here. Lovely home away from home. Clean and homey. The location was the best of both worlds for my group. Easy walk to the less populated but lovely beach across the street and a five minute trolley ride (which incidentally is cheaper than parking) to Clearwater Beach. Good places to eat nearby. I enjoyed my stay immensely and would come back next week if I had been born rich instead of so good looking.